Momentum Dance Arts (MDA) strives to build confidence, discipline and an appreciation for the arts, one dancer at a time! MDA offers excellence in dance education with compassionate and experienced staff. ​Opportunities are offered for every child to find a love for the performing arts! 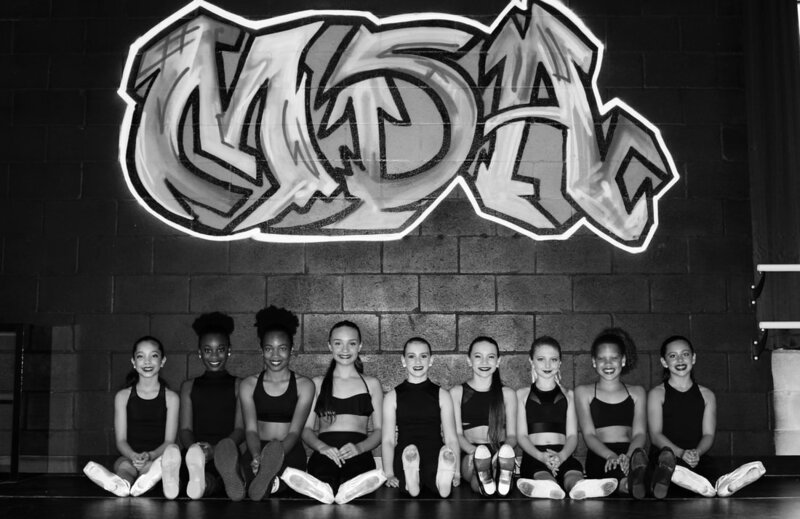 ​Find your unique style with Momentum Dance Arts! Jamie is amazing. She keeps the little ones engaged and having fun. I was surprised at how quickly she moves after having my little in a similar class at another studio last year. My girl has learned more in one month than she did all year at the other studio. Her dance classes are the highlight of her week. My favorite thing is being able to watch class on tv from the waiting room. It is reassuring to know exactly what is going on & to see the progress being made. My daughter looks forward to dance every week. She has a blast while she's there. Would definitely recommend this studio to others! This year was my daughters 2nd recital with Mrs. Jamie and MDA and she LOVED it! We had a great experience all year and love the memories she is making with her dance family. Can’t wait to start again! My 6 year old had an amazing time. She enjoyed class every time. What she learned at momentum dance still amazes me. Jamie is awesome for kids and adults alike....we had a few private lessons to boost acro skills... and cartwheels. Jamie works on building a positive reinforcement of confidence. 5 stars for sure, the recital was done with excellence and great momentum and excitement! Everything our children worked on and purchased toward the recital was well worth it!!!! Momentum Dance Arts (MDA) is located in Alachua, FL. We strive to foster a lifetime of love for dance and fitness in everyone. Our wide variety of dance and fitness classes allows your child to explore the art of dance and find their own path. Whether your dancer takes one class a week or decides to continue dancing in college and beyond, we can help create a foundation for a lifetime of success! A good teacher makes all the difference. With that in mind, we have assembled a dedicated staff that shares a common passion for teaching the art of dance. MDA is home to the areas most prestigious dance instructors. Having trained extensively with the worlds top educators, mentors & teachers our staff are not only dedicated teachers but also accomplished professional dancers & choreographers. At MDA you are guaranteed to receive an outstanding education in dance from masters in the field. Take a class in a dance style you haven’t tried before, find a fun new way to get fit, make new friends, and improve your skills in all disciplines.